NewFit was introduced to Newington in 2011 as a sport designed to continually challenge, both physically and mentally, students of diverse athletic ability. NewFit currently operates out of @Rubens, a health club in Marrickville owned and staffed by Newington Old Boys. Under the supervision of teaching staff, all students make their way to and from this location for weekday sessions. Sessions are currently held on both Monday and Wednesday afternoons. NewFit is offered at Newington year round, however boys can only participate in NewFit for one season per year. Due to our commitment to AAGPS sport, students require endorsement from their Head of House to participate in this sport. Unfortunately, choosing NewFit does not guarantee a place in this sport. This sport has a maximum number of 50 places available and students are required to pay a participation fee. This fee is based on the number of weeks per term as well as the numbers of boys registered. 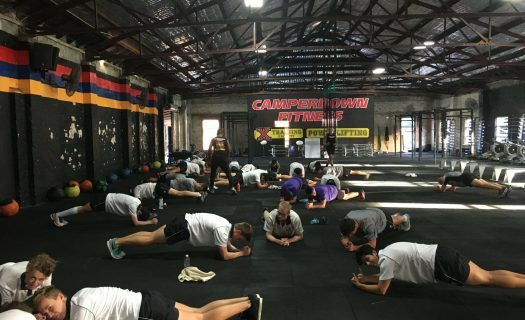 Boys of all fitness levels and experiences are involved; from top athletes honing their performance, to boys recovering from injury, and others that focus on setting a strong foundation for future fitness.